DXRacer is without any doubt the best gaming chair brand in the market. The brand logo dominates both pro gaming scenes as well as amateur gaming. Among its favorite spots is in the Major League Gaming where it is a sponsor. However, that said, it is imperative to get the best chair that will suit your gaming style and most importantly, your height and weight. 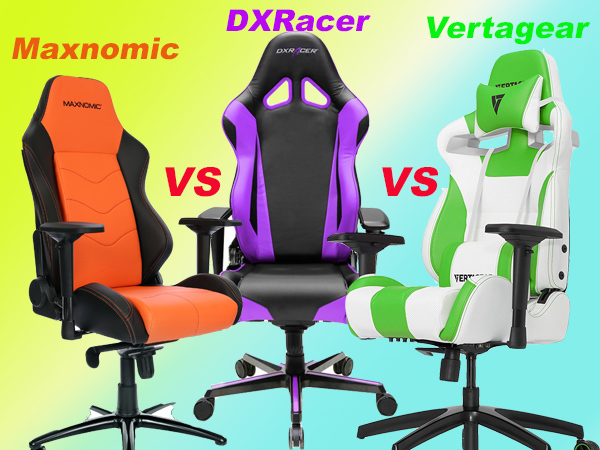 Remember, not just any DXRacer chair will be best for you and that leads us to our topic today of the best DXRacer gaming chairs in the market. So, without further ado, here are our picks of the 3 best chairs that should top your wish list if you want to join the DXRacer club. This is my best chair in the DXRacer R-Series because of its solid design and versatility. I sold my X-Rocker pedestal chair to get one versatile chair in the living that would also serve as my study chair now that my extra bedroom finally found a legitimate owner, my son. The best part, I got it for $70 less during Halloween. If you are looking for a compact chair, I won’t recommend this one; at 25kg, definitely it’s bulky and you’ll need quite some space. But the good thing is that it is a standard chair; I’m 6’2 and 224 lbs. and this is my chair for the next few months considering I’m not foreseeing any change drastic change in my body type. However, if you are heavier and taller than me, I recommend something in the Iron Series as Sentinel is often faced by stocking problems. For smaller guys than me, you might want to save a few bucks with the F-Series. I love this chair’s high back fully supports the weight of my entire spinal column while the wide seat gives me some room breath. I have in the past two weekends averaged 12 hours plus and I can’t complain. The padding constitutes High-Density Mould Shaping Foam and as we know of memory foam, your comfort is guaranteed. For a more ergonomic posture, its adjustability is impressive, from adjustable lumbar support and headrest to a gas lift height adjustment. This chair can be adjusted from 90 – 135 degrees; great for relaxing in between sessions. The icing on the cake is the 4D armrests that give you a wide angle for your placing your arms. Available in several color options, this model has been finished in vinyl and PU leather. 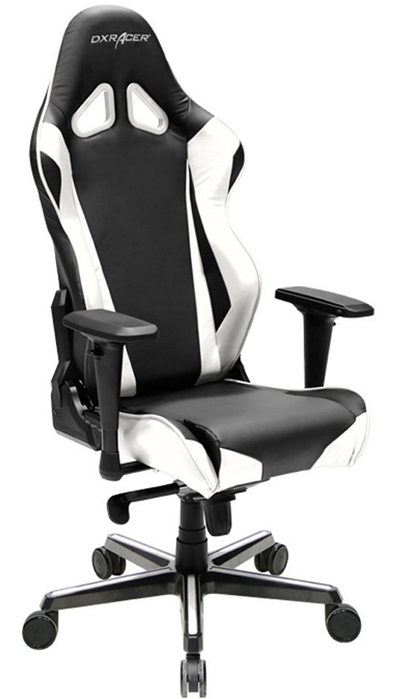 Even though I’m not a fan of PVC, I’m hoping DXRacer also used the best quality PVC just like it does with PU leather. The PVC is a great relief for cat owners; my wife’s cat has inflicted some serious damage on my leather chairs. Even though it is quite expensive, I like the fact that it is quite a universal chair that would fit a range of body types; from teens to full-grown adults. The 4D armrest is also the in thing and considering DXRacer is a top brand, the $370 price tag is justifiable. Immediately, 4D armrests hit the market, I quickly traded it and bought the DXRacer DOH/RV001 Racing Series. But still, it’s a chair I regret disposing of now that I’m really low on space. You see, it doesn’t look muscular like the DXRacer Racing Series and actually weighs lesser. If you are a fan of motorsport, this is a great option. As the name suggests, it simulates the real feeling of a racing driver. Regarding comfort, DXRacer has never disappointed. If you are an average body, up to 6’1 and you weigh 180 lbs. it will be a clever idea to get this one and save like $100 – that’s if you will stick to 3D armrests that have now been out fashioned. As you’ve noticed, this chair is smaller than the DXRacer DOH/RV001. The caster wheels are also smaller, 2-inches while the DXRacer DOH/RV001 has 3-inch wheels. If you have a hardwood or any other fragile floor, I don’t recommend it; it tends to exert a lot of pressure on the plates and tiles. On stone wall too, the casters have an irritating noise. The upholstery is of breathable mesh and PU leather. Personally, I have a liking for mesh because of its breathability; if you live in Texas, you know the summer heat is unforgiving. One thing I must caution you is about the seat, especially if you are a little bit heavy. It can be quite narrow leaving the armrests biting your hip area. But the headrest, armrest, lumbar support and back are all good; good for the price! If you can sacrifice 4D armrests, and you have an average body, this is a solid PC gaming chair that can double up as an office chair. Even though you might be enticed by the availability of cheap gaming chairs under $100, remember this is top quality! This is a king size gaming chair as the name suggests. My two small nephews sit on it both because it’s spacious. It’s heavy, both its weight and the load capacity. The 35kg makes it quite hard to assemble and you’ll need a helping hand. Also, the screws are quite hidden; in fact, I scratched the leather when we were assembling one during our test. The King Series is ideal for heavy guys and in fact, you can just see it with your eyes. It’s recommended weigh load is 250 lbs. to 300 lbs. I have a friend who’s 25 and he really heaps praise on this chair. The only problem is the high back; he’s 5’9 so even though it favors him in terms of weight load, he sinks in it. The seat is very wide and if you like your space, this might also be a good chair. In the cold night, you can easily tuck yourself in it. The upholstery is a combination of PU leather and carbon look vinyl. At the bottom, fie 3-inch casters support the entire weight of the upper body on a sturdy gas spring center pole. I must commend the class 4 gas spring adjustment. Lifting a 35 kg gaming chair is very easy, even a kid would do it. Its base is also stable and you can take a nap in a more stable posture compared to the smaller Formula Series. But if you thought this is the biggest chair, you are wrong; Tank Series has a 450 lbs. weight limit! I know you must have heard that this chair is recommended for average and athletic bodies and you must be wondering how. The 90 degrees 4D armrests give you an ergonomic position that definitely improves your gameplay. I also love the lumbar support. The King Series is a really expensive gaming chair but again, it’s worth the price. The padding, load limit, and 4D armrests match the $40 price tag. 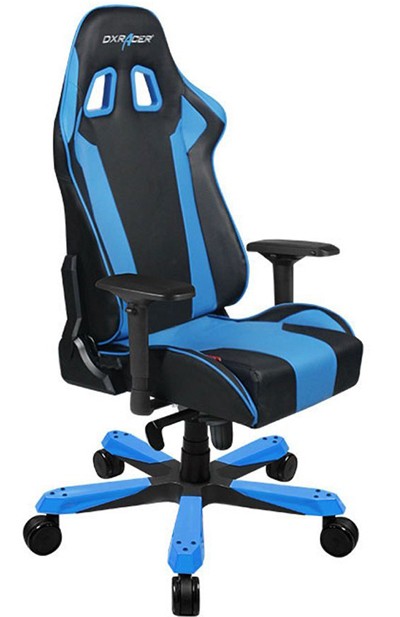 If you are tall and close to $300, this is the ultimate DXRacer chair that needs to be on your wish list! Now, it’s time we talk about a few critical things that everyone should know when shopping for DXRacer gaming chairs. To start with, we will look at the different gaming chairs DXRacer offers. Like earlier said, it’s not just about having a DXRacer chair; there is a variety of them, each specially designed for a specific group of gamers. There are chairs for the tall, short, heavy and light bodied gamers. So, when shopping, it is very important to know which series you should go for. Here is a list of the DXRacer Series and the recommended height and weight. 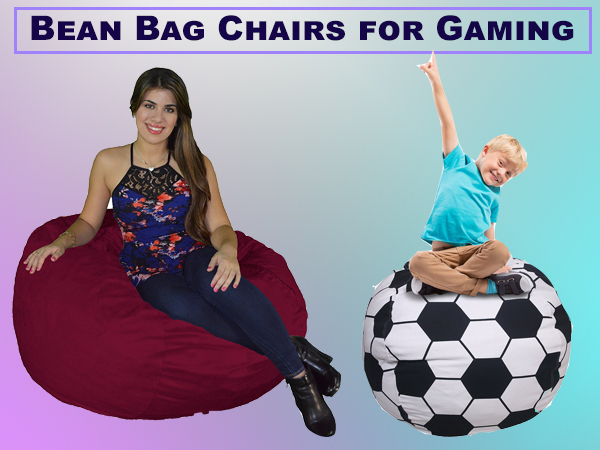 Gaming chair materials is an often ignored but important aspect when shopping for gaming chairs. upholstery uses four main materials; leather, fabric, mesh, and PVC. Each of these materials has its advantages and disadvantages. Leather is regarded as classy so because these chairs may double up as office chairs, they have a tradition of being finished in leather. However, note that this is not genuine leather, though its look and feel is just like that of genuine leather. Besides its classy appeal, leather is easy to maintain. It doesn’t catch dirt fast, and cleaning it requires just a simple wet wipe and that’s it. In terms of durability, I think it all goes down on usage. But generally, the grade of PU leather used in this chair is better compared to what’s used in cheap models like Homall and Merax. There are also several chairs especially in the F-Series that boast fabric upholstery. Fabric is very comfortable, and at least the material allows air circulation to prevent sweating. Regarding durability, I think it’s the best, but then its intensive maintenance makes this hard. Cleaning fabric is what makes me sick, and more so, I’m allergic to dust mite is the last thing I want on my gaming chair. Mesh is mostly preferred in office chairs because of its breathable nature. It has large perforations that ensure there’s sufficient air circulation; perfect for those who sweat a lot. Nothing can make the best sessions boring like a sweaty back. I had one of these chairs, a GreenForest Office Chair, and I had fallen in love with it until it got a stain. It’s very hard to clean and once the stain gets under the perforation, that’s it! 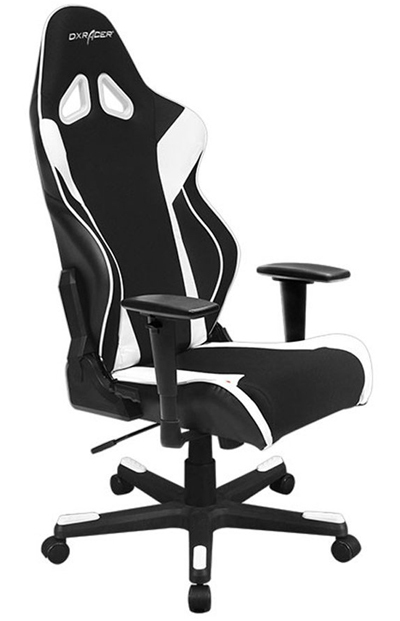 PVC is another material that has been popular with DXRacer. In fact, it uses carbon look vinyl that is quite durable and very appealing. What I like about this material is its resistance to scratches, especially from cat paws. Are DXRacer Gaming Chairs Durable? More often, I find many gamers asking this question on many forum threads and discussion. From experience, I will tell you that there is no definite answer to this because there are several dynamics that define the durability of anything. Even though the build quality greatly determines durability, maintenance and usage are also key. Regarding build quality, I must confess that DXRacer, being a top brand, is world class. Compared to brands like Homall, Kinsal, BestOffice, and E-WIN, this is a serious brand that emphasizes on quality and that’s why their chairs are quite expensive. I have owned several brands of chairs and so far so good, the quality of materials DXRacer uses is excellent. I would only compare the PU leather that it uses to what you get in Arozzi, X-Rocker, and a just a few more brands. There’s also the mantra of ‘you get what you pay for’. However, it’s not a clever idea to assume that an expensive chair is more durable. A gaming chair may be expensive because of some extra features and not necessarily the build quality. For example, something like the DXRacer OH/TS30/N retails at over $500 because it is big and has 4D armrests; nothing to do with build quality. Perhaps the most important aspect that most people ignore when it comes to durability is maintenance and usage. If you properly clean your chair and avoid spilling drinks and other stuff that can stain it, it will last. Also, in light of usage, a chair that is used daily will wear faster than one that is used maybe thrice a week. For this reason, I think it would be inappropriate to say that DXRacer chairs are durable or not durable. However, in my opinion as a gamer who’s owned more than 8 models, I would rate the durability of these chairs at 4.8 stars out of 5. My first DXRacer is over 2 years old right now; I averaged 8 hour plus daily for like 4 months. It stayed idle for another 5 months and since then, my small brother has been doing 10 hours plus daily. The upholstery is still in good condition save for a few scratches and paw marks. The good thing is that DXRacer has the best after sales. First, you’re greeted by a 2 years warranty on parts and I’m sure the lifetime frame warranty is genuine; if I’ll ever need it. If you are a newbie who’s not sure of the little assembly required or any other support you may even need, I can attest to the dedicated support. So, you’ve finally made up your mind to get a gaming chair, and the brand is definitely DXRacer. So, what will you are looking for exactly when shopping. This is what we are focusing on in this segment. I keep telling people, mind the size of the chair you buy. This is in regards to the space you have for setting up your station. I’ve been a victim twice in college in those tiny hostel rooms. With DXRacer, the higher the weight limit, the bulky it becomes. So, if you are keen on saving space, don’t focus too much on the load limit. Just get what suits your needs. This is an important aspect when shopping for any chair and not just DXRacer. It is important to know the advantages and disadvantages of leather, PU leather, PVC, fabric and even mesh. If you have been reading along, I hope this won’t be a problem for you. What I will reckon however is maintenance; it greatly determines the durability of your chair. Most gamers often ignore their body type when shopping for gaming chairs, especially online. This may be partly because of the lack of adequate information from manufacturers. One thing I like about DXRacer is their elaborate weight and body chart. In as much as the aesthetics of a particular chair might have won your heart, make sure it is recommended for your height and weight. Last week, I bounced on one of my blog’s comments a guy who was in a dilemma. He wanted 6 DXRacers for his gaming lounge. So, he wanted something universal that would cater for a large chunk of his customer base – a real entrepreneurial mindset. The DXRacer DOH/RW106 Racing Series Newedge Edition was a perfect recommendation because it is cheaper and in terms of space, it was the best. Most importantly, this is the best chair for teenagers and he had stated categorically that his potential customers are mostly teens and young adults. In as much as there are other crucial dynamics of comfort, padding plays an integral part. DXRacer adopts two types of padding; classic foam and memory form. Classic foam is the most popular because it is cheap and offers no problems with comfort as long as it’s layered properly. On the other hand, memory foam provides extra comfort by contouring on your body and giving you the support you need, exactly where it is needed. However, you will pay a little more for memory foam padding. What can you adjust to your preferred gaming chair? A good chair should have tilt and height adjustment. DXRacer chairs can tilt from 90 degrees to 135 degrees. If you want something that can stretch to 135 degrees, go for something like Drifting Series, Formula Series or Classic Series. Note that with the heavy models, you can tilt it to 120 degrees maximum. Regarding height adjustment, you don’t have to worry. DXRacer uses a Class 4 gas spring height adjustment. Even adjusting heavy models like Tank Series takes a little effort. Most gamers depend on the ergonomic support of armrests for the perfect controller positioning. Because you will be sitting down for hours, you need to change between positions. While other ordinary brands are still trying to perfect armrest padding, DXRacer chairs have 3D and even 4D armrests. The 4D armrests are fascinating; they allow you to adjust your arms in multi-dimensions to several different ergonomic positions. There’s something about the floor type that you should know. This is with regards to caster wheels. I prefer larger caster wheels. The 2-inch casters make a lot of noise on tile, ceramic and stone floors. On hardwood floors, they leave marks and at times, damage the floor. I recommend you get a model with 3 inches. However, this should not be a bother especially if you have got one that meets your budget and body type. These two are among the most popular gaming chair brands in the market. 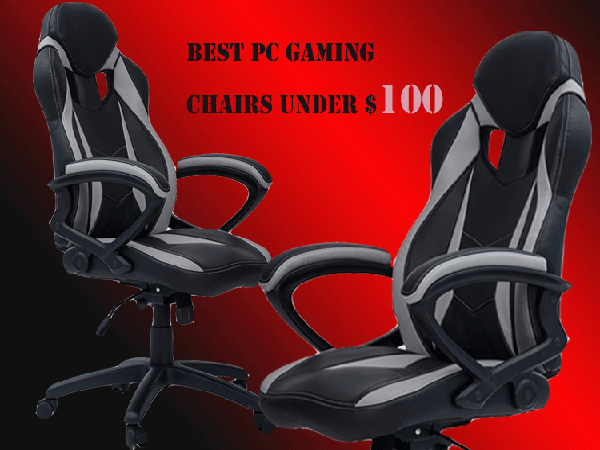 For starters, they are known for two different gaming chair niches. 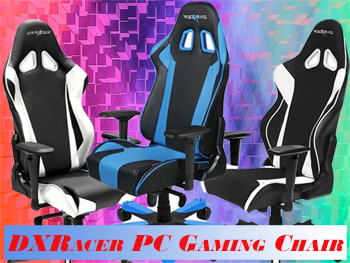 DXRacer is best when it comes to PC gaming chairs while X-Rocker is a top brand when it comes to console gaming chairs. So, comparing them will be quite ambiguous. This is an interesting battle as they all have PC gaming chairs. What I know, Merax is not a bad brand but considering the years of experience and expertise DXRacer has, I would give the latter the crown. However, for those looking for a cheap PC gaming chair, Merax would be a great place to shop. They have some great chairs ranging from $100 – $200. But comparing their quality to DXRacer’s, I remain confident in DXRacer. DXRacer is a top brand and its dominance in the market backs this up. Besides gaming chairs, they are known for the best gaming desks, simulators, and accessories. I know a lot of people don’t like them because they are so expensive. The base model will go for anything in the region of $250 while at that same price, you can still get a good PC gaming chair under $100. But if the brand you’re buying is a top consideration, you wouldn’t mind the price tag; DXRacer is the best gaming chair brand!